Our diamond necklace collection has continued to grow into a beautiful array of designs. I have selected three of my favorite diamond necklaces from deBebians that are modern and currently sell for under $1000. These necklaces will be the perfect gift idea for the upcoming holidays because not only are they timeless, they are affordable. 1. Bezel Trillion Pendant Necklace, currently starts at $799.00. Style # TDP-01 shown in white gold. I personally love this bezel set trillion necklace. Not only can this piece be worn by itself, it would be lovely when worn with additional necklaces for a layered look. 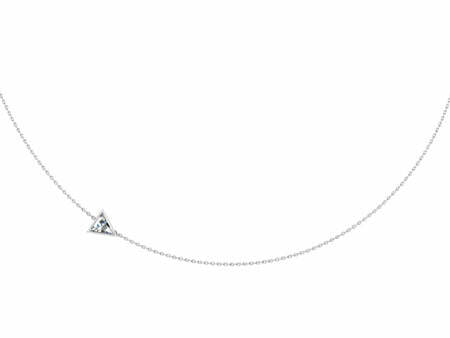 This necklace features one trillion cut diamond that weighs approximately 0.25 ct and has H color with SI clarity. 14 karat white, yellow, and rose gold are available. 2. Infinity Pave Diamond Pendant, currently starts at $688.00. Style # DP-07 shown in rose gold. 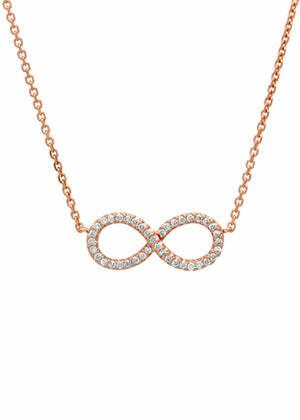 This infinity diamond necklace is one our newest necklace designs. This universally loved necklace features approximately 0.20 cttw of pave diamonds that have SI clarity with G-H color. Choose between 14 kt gold and 18 karat gold options. Style # DP-08 shown in yellow gold. Our Y necklace is another of our newest necklace styles. 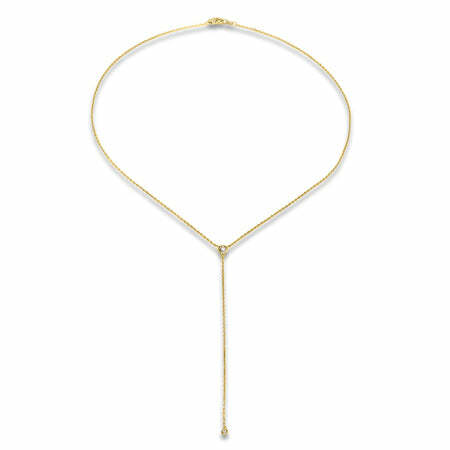 This necklace comes in your choice of 14 karat white, rose, or yellow gold. It is set with two bezel set diamonds that collectively weigh approximately 0.10 cttw. This delicate design will be able to be worn and enjoyed for any occasion. We have a large collection of diamond and gemstones necklaces that may be gifted for Christmas and the upcoming holiday season. Please contact a deBebians jewelry expert if you would like guidance in selecting the perfect gift for the one that you love.